Engineering is made possible through the application of science to solve problems in Industry. To excel in this process one must be strong with the theoretical understanding of science and be adept at transforming that into feasible solutions. Students receive training in this by way of working on science projects. 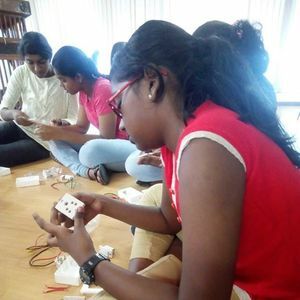 DIY-Do It Yourself is a movement that encourages individuals to use and develop their skill to solve problems through tinkering, fabrication and repairing. SciencePro Camp is an advanced course that provides both the theoretical background and the opportunity to work on science projects simultaneously. With a new project each day, the participants have plenty of chances and variety to develop their skills and use the concepts learnt during the session immediately. All the projects are take-home models. Exploration of the nature of light and its manipulation using mirrors and lenses. Optical instruments like microscope, telescope and periscope will be the key topics. Study of fluids under pressure and the laws governing them. Hydrostatic pressure, Pascals law and Charles law will be demonstrated through experiments. Lets build simple robots using the principles of mechanics and hydraulics. Manipulate forces and motion of mechanisms using leverage and geometry. A crash course on the basics of electronics and its components. 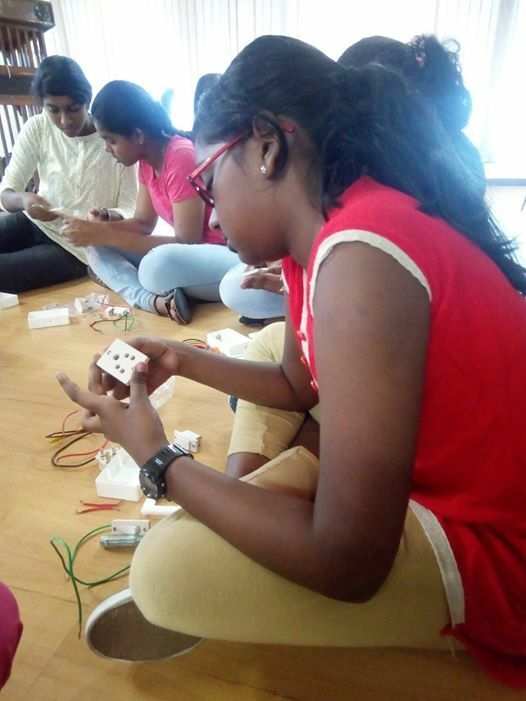 Learn to build simple circuits and incorporate various sensors. Understand the physics of electricity and electrical phenomena. Learn about home wiring, fuse, phase, power, voltage, current, grounding etc. Note: The listed projects are liable to change if deemed necessary. Please get in touch to receive the latest information.